Far to often we think of the Holy Spirit as a peaceful little dove that chirps ever so slightly and is soft and cuddly. 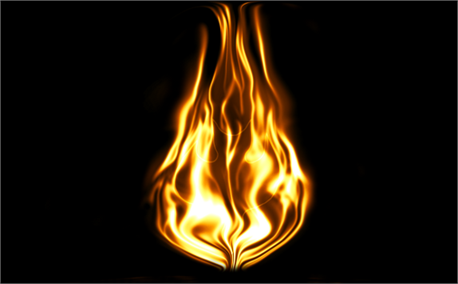 We forget the image of the Holy Spirit as the Fire of God. Well, I did for most of my life. I had always attributed the faith I have to Jesus Christ and God, completely overlooking that my growth in faith is and needs to be attributed to the entire Holy Trinity. God the Father being the Creator, Jesus Christ, the Son of God made Flesh, who took on the form of a Man, lived and worked as you and I and carved the path to freedom, and now both working in us THROUGH the Holy Spirit. The Holy Spirit being the Fire of God, reshaping our souls into the image we were intended to be, before the fall of man, as God intended. Through every means possibly created by God. With God being the Creator, the Son being the Way and the Holy Spirit being the Work of God or the Will in the world. The unseen and seen physical and spiritual presence of I Am constantly present, constantly completing the tasks, or the details of the supernatural made natural in order for the soul to attain the freedom it seeks through Christ Jesus.